Qvoid is an iPad game with puzzle type where you have to squeeze the brains and get well join the colors from a bucket. You'll have to get to place, from a white cube, the colors shown on the board but that would be fairly easy if it were not that you have to join all the colors on the same side of the cube. 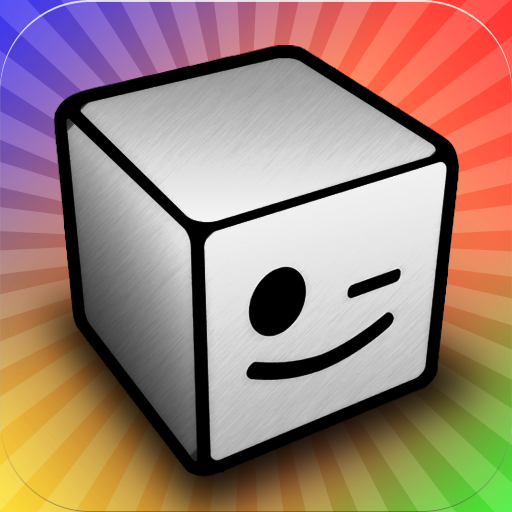 In Qvoid dropping the cube will move from face to face and you have to try is to pick the colors in the least amount of steps in order to win the famous three stars. Qvoid contains 120 handcrafted puzzles in which the difficulty level goes up as you learn to control the steps you take with your cube. Besides having to begin bonding a pair of faces of the same color but increases with increasing difficulty. Learning to play is easy Qvoid because at each level have introduced some new element will have a written explanation to help and guide. Also if you have reached a point that you think you can not go back down out step by step. Qvoid is a simple game but when you start to complicate you can make use of the tracks, for that you will get two completely free for rating the game on the App Store . You can also buy a pack of 5 tracks to 0.79 € or a pack of 15 tracks to 1.59 €. To get the three stars on any Qvoid have to give the fewest possible steps. The creator of the puzzle put at the end of each the minimum steps that must be taken to achieve this. If you feel any of the puzzles too can access the menu and jump. Qvoid is a game for iPad most entertaining, you can make your mind work in a manner very different from what we are used in games for our tablet. The visual interface is very good, though not spectacular graphics are required, the design is good. As you beyond levels it gets harder and add colors to the same puzzle. Also added blank faces you release the cube face you used, because once released a color, you can not use more times that face. Tracks system is good but the best thing is you can try the game scoring only and if you like the system and you need more you can buy to help you solve levels.